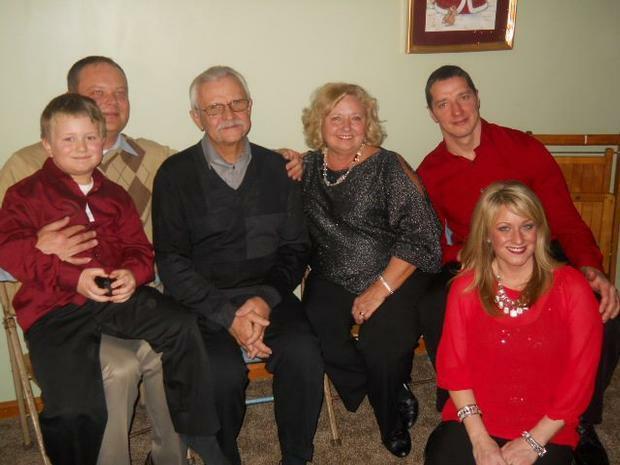 Wally Szewczuk has been a resident of Lorain his entire life. Some of you know Wally either from growing up in the same neighborhood, attending school together, St. John the Baptist Ukrainian Catholic Church or his job at Fastway Inc. Wally met Louisa, his wife at their first holy communion and they were childhood sweethearts. They married later in life and have been married now for 27 years. Wally became a great father to Terra and Erik. Wally enjoys spectator sports, particularly the Ohio State Buckeyes. He attended Ohio State for four years and has always considered himself a Buckeye first and a Browns fan as well. 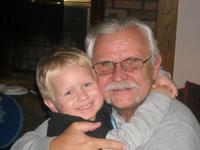 He is a rather quiet and shy person until it comes to his grandson Erik Walter, who is 7 years old. He often says that Erik Walter has been the best thing that’s happened to him. He loves to chat about classic cars with him and will play any game Erik likes. Wally is dedicated loyal family man and good friend to those in need. And now he needs our help. In August of 2012, Wally was diagnosed with liver cancer, hepatitis C and cirrhosis of the liver. We were all stunned because Wally was healthy and never presented symptoms of a life threatening illness. He was officially placed on the liver transplant list at the Cleveland Clinic in November. He began chemo treatments immediately and has taken all precautions to remain in good health to undergo a liver transplant. He has always been a hard worker and continues to do so even though he is in poor health. This brings us to the purpose of this letter. Not only is this transplant a major surgical procedure, but it is very expensive and insurance will not cover all the costs. As friends and family of Wally, we can offer our help and prayers during this time. A fundraising campaign in Wally honor has been established with HelpHOPELive a nonprofit organization that has been assisting the transplant community for nearly 30 years. All donations are tax deductible, are held by HelpHOPELive in the Great Lakes Liver transplant fund, and are administered by HelpHOPELive for transplant-related expenses only. If you wish to help Wally, then please consider making a contribution. To help achieve our fundraising goals a benefit is being planned in Wally’s honor. If you are interested in putting your time and talents to this worthy cause, we welcome any help!